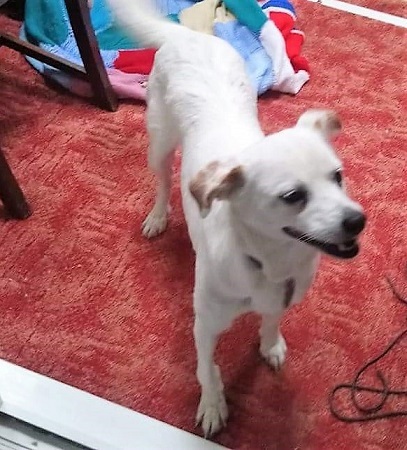 25/10/2018 Cute Ada has been adopted and is now happily in her new home. 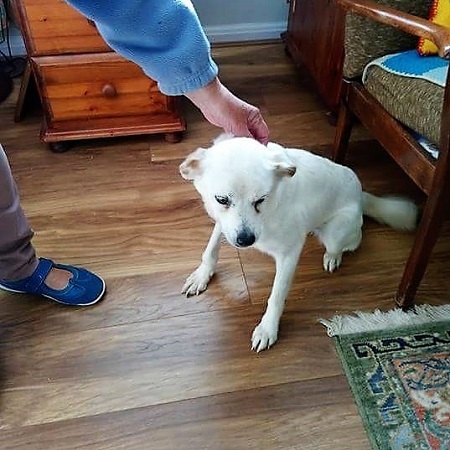 This cute, little, loving lady is called Ada and she’s currently enjoying life in a foster home in Kent provided by Pawprints to Freedom who saved her from the kill list in a Romanian shelter. Don’t be fooled by Ada being an Oldie at 8 – 10 years as she is still very full of life. 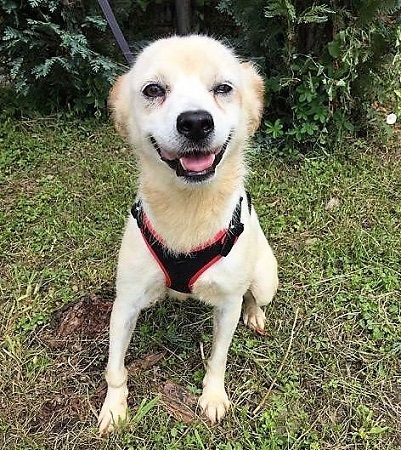 She loves being around everyone and is very friendly with people and other dogs. 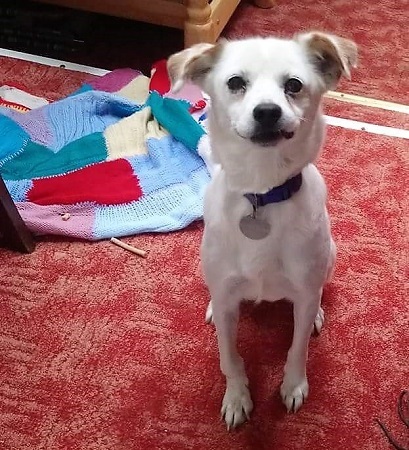 Ada is settling well in her foster home, giving lots of love and generally being nosey about all the exciting goings-on in a real home. It’s now a wonderful life for her. Ada has been spayed and has no medical issues. Please mention you saw Ada on the Oldies Club website.